Shortly before Christmas, I received a wonderful little box from the fine folks at OLFA. They contacted me and asked if I'd be interested in testing driving their fantastic little 5" Precision Applique Scissors. Of course I said yes, and I wanted to share some of my thoughts on the product with all of you. First, though, let me tell you a little bit about my use of various sewing tools. In short, I don't. I only have a couple of rulers (and really only use 2 of them), a single rotary cutter, I barely use pins, and have gotten by with only 2 pair of scissors -- a large pair for cutting fabric, and a small pair that I keep near my machine for snipping threads and stuff. And even those I inherited from my wife, who (as you may remember) really got the sewing thing up and off the ground here in our house. So, I don't really shop for many notions and I'm kind of accustomed to the tools I have. But you know the old saying, "you don't know what you're missing"? 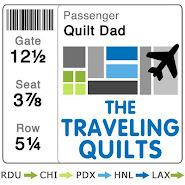 I fear that's the case for me with many state-of-the-art sewing notions. I'd file these sleek and sharp scissors under their category. I can appreciate the comfort of their large handles, their stability, their ease of movement, and the fact that they cut like a hot knife through butter. Though I admit that I don't really do applique (for which these scissors were surely designed), I am sure they would be unrivaled for that purpose. 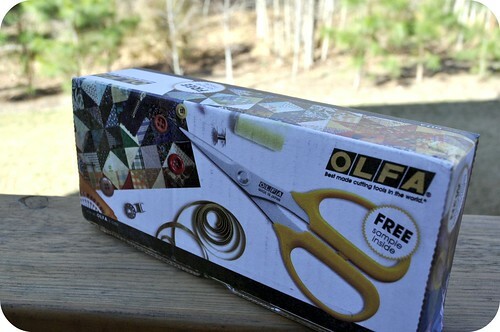 If you can't tell, I'd definitely recommend the OLFA 5" Precision Applique scissors to anyone in the market for a new pair of small scissors for handwork, applique, or any on-the-go projects. 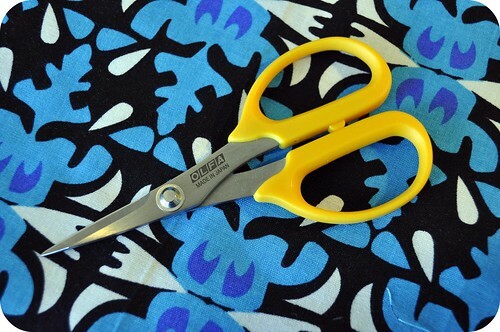 i like these scissors too.. using for MY Desserts and ... I started at the bottom of the cuppie and I'm about that much done from the other direction! 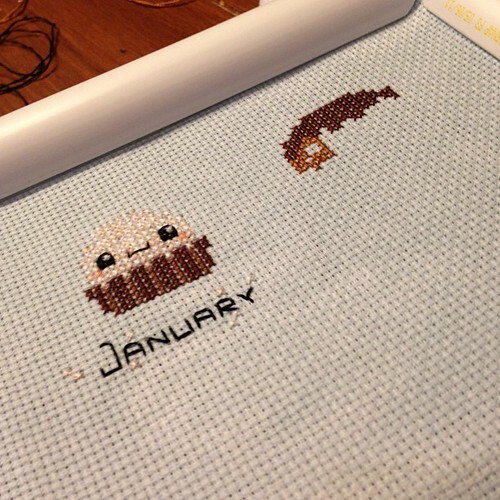 Only my second cross stitch ever... i see March is now in my inbox! Ok your "confession" about your number of scissors has me in a tizzy. I don't have any idea how many pairs I have. I love love scissors. 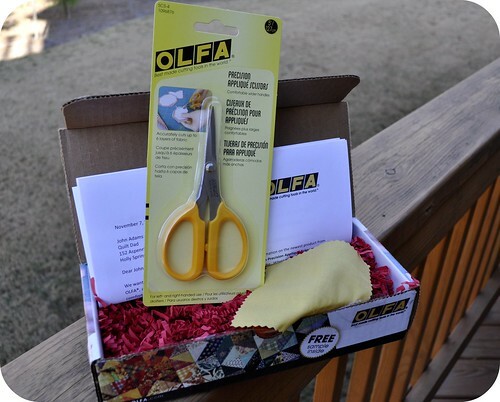 I have 3 Olfa scissors. But I don't have this pair. And I want them. Thanks for that disclaimer. It means a lot when we really want the truth! 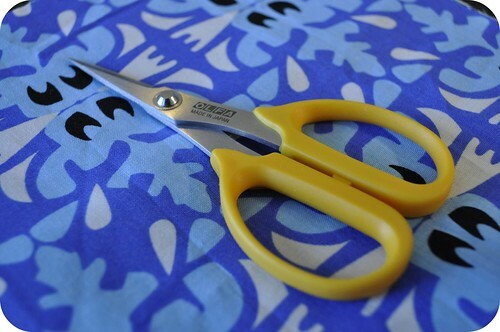 Forget the scissors, what is that amazing fabric they are laying on and where can I get some?! 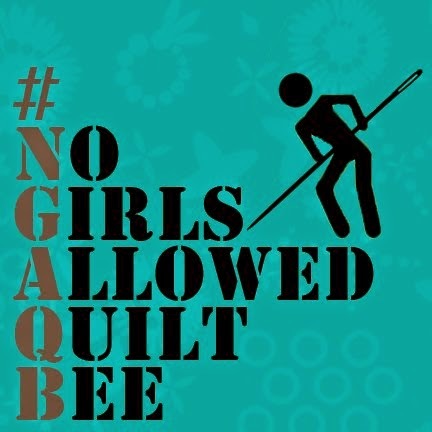 It's perfect for a quilt I'be been planning in my head for weeks!!! Tessa, the fabric is from a line called "Morning Tides" by Mark Cesarik for Free Spirit Fabrics. It's wonderful! I am sure a quick Google search can show you where to find some. LOL! John I burst out laughing when I read about your lack of gadgetry. You know I love a tool. I'm glad you like the scissors, I might need to get a pair. Regardless, I say you've created an incredible body of work and are living proof that you don't need a lot of stuff to make beautiful things.